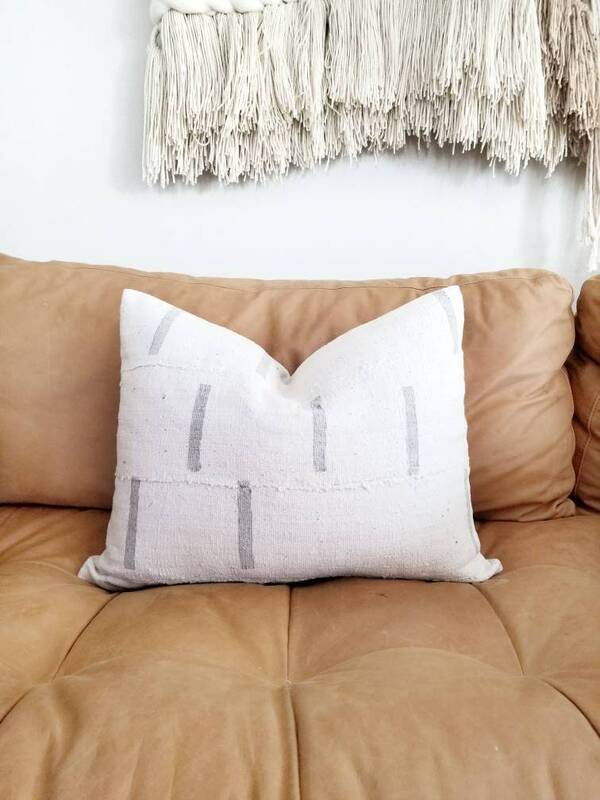 16"x20" Pillow cover made of cream with gray lines african mudcloth. Gorgeous!!! Love the texture and how true to picture this pillow was. Thank you for shipping so quickly!